Now get 100% Cashback On Prepaid And Postpaid Recharges on Airtel Money App. You will get Cashback over 3 months as Rs 50 in first month, Rs 25 in second month, Rs 25 in third month. Apply below Coupon Code to get CB. -> Valid Till 31st August 2016 & Valid only For New Users! • You will Get Rs50 instant cash back & Rs.25 + 25 Credits to your account in next 2 Months! · User has to do a minimum transaction of Rs 100 to be eligible for Cashback. 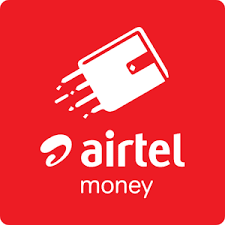 · Cashback will be credited instantly in Airtel Money wallet. · Applicable only on first transaction by the user. · This offer cannot be clubbed with any other offer. · Cashback will be credited over 3 months as Rs 50 in first month, Rs 25 in second month, Rs 25 in third month. · Airtel Money reserves the right to disqualify any Airtel Money wallet holder/s from the benefits of this offer in case of any fraudulent activity/ suspicious transactions. · Airtel Money reserves the right to modify/change all or any of the terms applicable to this offer without assigning any reasons or without any prior intimation whatsoever. · In case of any disputes, Airtel Money’s decision will be final.